US Congressman Thomas Garrett Jr said that many who migrated from India to Pakistan for better life were not welcomed in their new homeland. 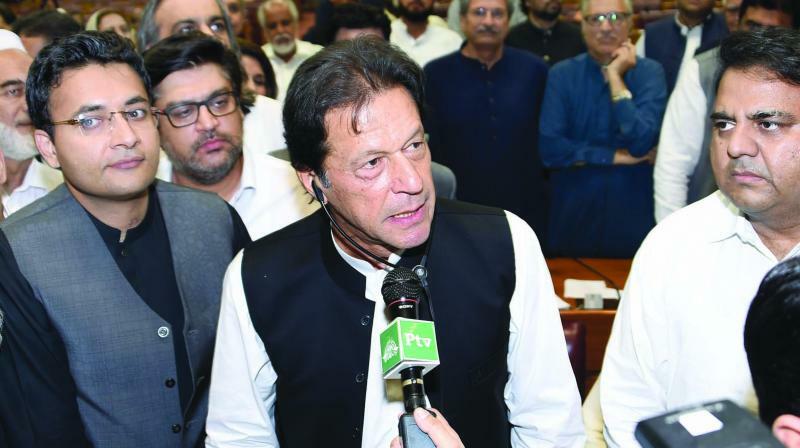 Washington: Several US lawmakers have urged the new government of Pakistan, led by prime minister Imran Khan, to stop human rights violations, and treat its ethnic and religious minorities with equality and dignity. Addressing 'The Minorities Day on the Hill' organised by South Asia Minorities Alliance Foundation (SAMAF) and Voice of Karachi (VOK) on Wednesday, the lawmakers urged the Imran Khan government to stop human rights violation of minorities in Karachi and other parts of the country, as well as in Balochistan. In his speech as the host of the event, US Congressman Thomas Garrett Jr appealed to all countries in the world to treat their minorities with the respect and dignity they deserve and grant them equal rights. He said that Mohajirs (Muslims who migrated to Pakistan from India during the partition in 1947) had left their homes hoping for a better life, but they were not welcomed in their new homeland. "I clearly understand the plight of Mohajirs who are the product of post-independence ethnic cleansing. They were forced to leave their homes hoping they are going to somewhere they'd be welcomed, but they weren't," he said. "They have a story that needs to be told. I am not advocating on behalf of any group to demand a radical change in policy except that we expect our allies to treat their minorities with equality and dignity they so much deserve," Garrett said. Congressman Scott Perry said that "we in the United States see and treat all ethnic and religious minorities equally and we demand that our allies do the same. We can all live together and practice our faith in peace and harmony. This is the way it is now in America, but that should be everywhere." Congressman Andy Harris said that "practicing one's religion is a basic human right, and as humans we should share this right. It doesn't matter which part of the world we live in, or which ethnic or religious group we belong to, we have the right to exist peacefully and enjoy our basic human rights." US lawmakers who attended the event and expressed their support for the cause of ethnic and religious minorities included Scott Perry, Adam Kizinger, Dave Brat, Morgan Griffith, Jeff Duncan, Raul Labrador, Gary Palmer, Rod Blum, Randy Huttgren, Jodz Rice, Andy Biggs, Tom Rice and Alex Mooney.